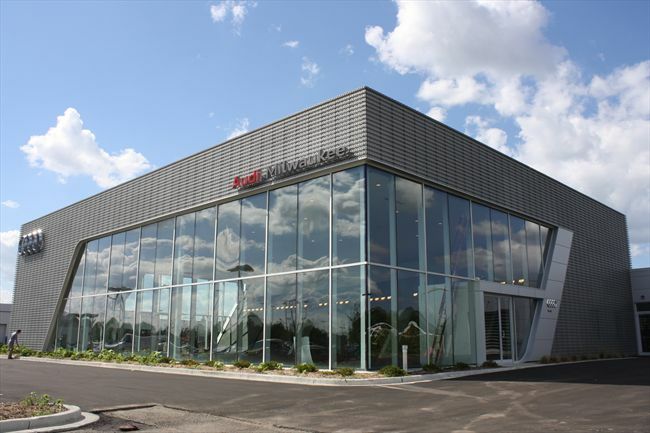 This project is the first in Wisconsin to use Audi’s new perforated panel design. 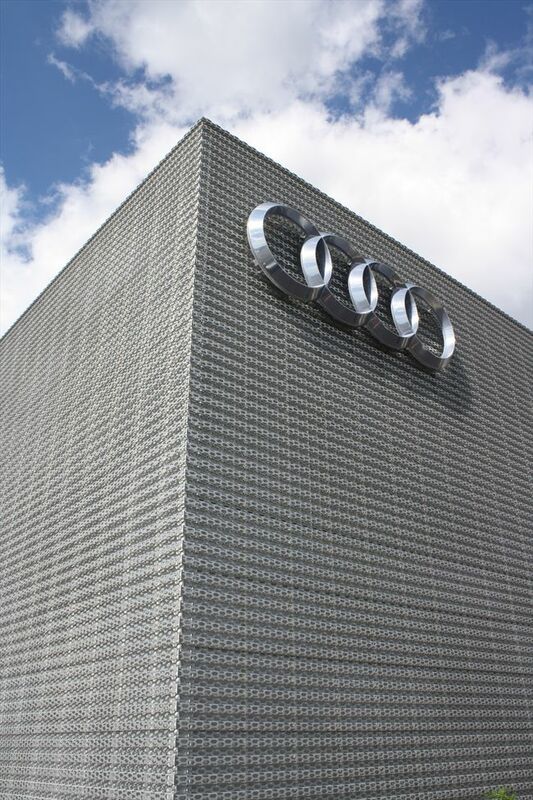 Dri Design has a National Account with Audi to furnish all their dealerships with the new perforated design. The backer panel is Audi’s standard 1 ¼” deep with an integral gutter and pressure equalized rainscreen design. The perforated panel is factory attached to the backer, providing a 1/8” wide joint at the panel perimeter.